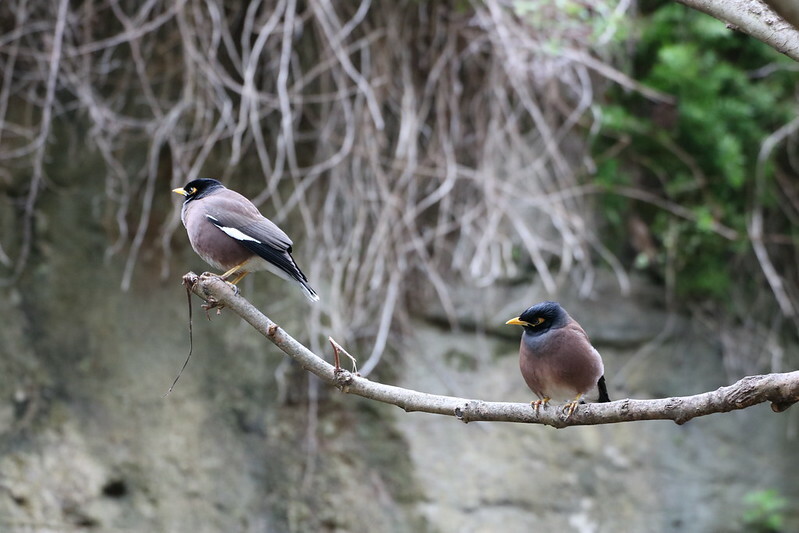 A couple of what I think are Myna birds in Sydney, they were (same species I think) very common in New Zealand as well. Apparently, they’ve been introduced from other parts of Asia, and now firmly established, and quite invasive! Image published by Gunn Shots. on 2018-06-13 13:54:10 and used under Creative Commons license. Андрей МатвеенкоПочему на этих видео звук почти в моно?